A sales funnel is a common term for a process that companies take potential buyers through on their journey toward making a purchase. It can also be referred to as a revenue funnel or simply a sales process. 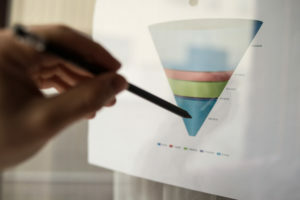 While a sales funnel is technically a process, the funnel concept can help you visualize your prospects’ journeys, monitor it, and make adjustments as needed. As you might expect, a sales funnel starts broad and narrows toward the bottom. 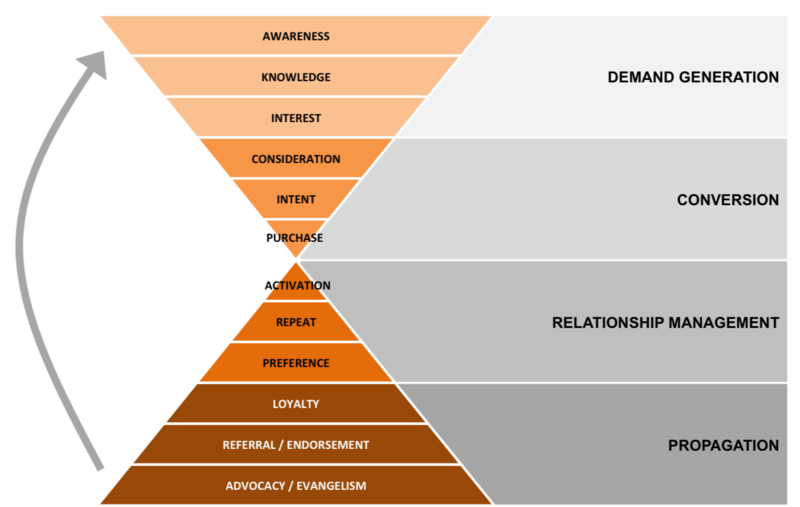 There are different process stages and terms for prospects as they move through a funnel. As prospects move through the funnel, they will disposition themselves through the information you provide to them and receive from them, eventually qualifying or disqualifying themselves. Prospects don’t always stay in or move through the funnel, either. On their journey, prospects can fall out entirely, get stuck, and even jump further ahead in the process. The journey each prospect takes through a sales funnel is different, but the funnel itself is a constant learning opportunity for you to understand the journey your future customers are taking to become customers. There are many examples of sales funnels that can provide a great framework for your own SaaS funnel. Many high-performing businesses and industry thinkers have created funnels with only a few steps to more than ten. Whether your funnel has only a handful of steps, stages with sub-stages, or a number of steps is entirely up to you and how your business works. However, having a sales funnel is a critical component of our SaaS growth strategies, and it’s one that we pay attention to as a SaaS debt financing lender. So, How Should Your SaaS Funnel Work? Awareness. Before your subscribers know who you are, they’re just strangers. Through your marketing and advertising efforts, their own research, or referrals, they become visitors once they have found your website. When they complete a form, request a demo, or contact you directly, they become a lead and are in the next stage. This entire stage is the top of your funnel and where you’ll have the most prospects. Consideration. At this point, your marketing efforts have qualified them. They’re a marketing qualified lead (MQL). It’s now up to you or whoever will speak with the lead or demo it for them to determine whether they’re a sales-qualified lead (SQL). Throughout this process, your lead is considering whether to make a purchase. They’re in the middle of the funnel, and there’ll be fewer but more valuable contacts. Decision. Once an SQL has indicated an interest in moving forward, they become an opportunity. This is a bit foggy for many, as it seems like an SQL is the same as opportunity. But just because an SQL has been qualified through some action or conversation with you or your sales team doesn’t mean they’re ready to subscribe. When they’re ready to start that conversation or process, they’re an opportunity. The final step is an opportunity deciding to purchase and become a subscriber. Keep in mind that different methodologies, systems, and CRMs use different terminology and wording, but the gist is the same in the end: you want to convert prospects into leads, and convince leads to become customers. Have you wanted to buy something online and thought, “I’m at the awareness or consideration stage of this company’s funnel.” Probably not. Your prospects didn’t, either. They just know they’re looking for a solution to a problem and you’re on the list of options. Ensure they have a great, seamless experience. Review your SaaS funnel stages and the criteria for moving people through them. Is there an action needed for a prospect to go from A to B to C? Look at those touchpoints and processes and see how you can improve them. Have more than one SaaS product? Do you offer a service or solution in addition to your subscription platform? Prospects that are looking for them might not fit in the same category as those looking for a SaaS platform. 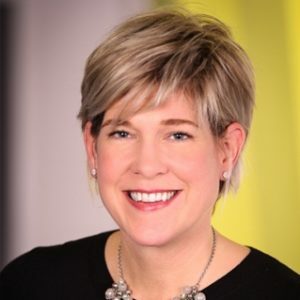 The buyer journey might not be as complex or lengthy. Consider your offerings and what is needed to get a prospect to purchase. If more than one funnel is required, that’s OK. Just make sure processes are defined to prevent slip-up or crossover and that your team is aware of the different processes. The relationship with your subscribers doesn’t end with a purchase. The worst thing you can do is forget about your customer after they become one. They’ll need support, and you’ll have opportunities to upsell. That’s what the hourglass does — add a post-purchase funnel that gets broader as you build a relationship with them, help them learn your product, have great experiences with them, and encourage them to refer people to you. Whether you focus initially on the traditional sales funnel or develop and implement a more future-forward hourglass format, always be monitoring and measuring. Watch your contacts move through the funnel you develop to identify where your sticking points are in the process, and measure the amount of time it takes for contacts to get from one step to another. Not only will you be able to identify efficiencies and improvements, but you may also gain insights into your business. For example, if you can’t quite get existing customers to move from loyalty to referral, you may be able to invest in tools or solutions that make it easier for them (a campaign, referral form, incentive, etc.). Part of the process of applying for debt financing is a review of your current marketing and sales efforts. Venture debt lenders want to know that you’re making efforts to maintain relationships with current subscribers who’ve helped you build your MRR, but also to identify new opportunities and make it easy for them to become subscribers. If venture debt financing is something you’re considering, make sure you’re also considering the way your SaaS funnel is contributing to your growth.